"The College's longstanding leadership in clinical research and clinical excellence makes ACG an exceptional partner at a time when integrated, patient-centered education has never been more critical." HMP, a leading healthcare event and education company, today announced it has formed a strategic collaboration with the American College of Gastroenterology (ACG) to further enhance education for physicians, advanced practitioners, and other healthcare professionals who are working to improve the care of patients with inflammatory bowel disease (IBD). As part of this collaboration, the two organizations will work jointly on educational and marketing initiatives around HMP’s annual Advances in Inflammatory Bowel Diseases Conference (AIBD), taking place December 13-15, 2018, in Orlando, Florida, as well as other educational offerings throughout the year. The agreement greatly expands the relationship between the two prominent organizations. ACG will work with HMP to craft the meeting’s educational program, and HMP will become a preferred provider of IBD education for ACG members, ranging from the national AIBD meeting to the suite of regional AIBD offerings: Clinical Challenges in IBD, taking place July 21 in Chicago, and Great Debates and Updates in IBD, which will be held August 25 in Dallas. Now in its 17th year, AIBD is a three-day, multi-track, scientific conference that attracts more than 2,000 clinicians, including adult and pediatric gastroenterologists, internists, surgeons, nurse practitioners, and other allied healthcare professionals. 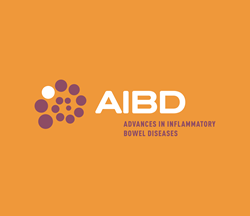 To learn more about AIBD, visit advancesinibd.com. HMP is the force behind Healthcare Made Practical —and is a multichannel leader in healthcare events and education, with a mission to improve patient care. The company produces accredited medical education events and clinically relevant, evidence-based content for the global healthcare community across a range of therapeutic areas. Its brands include Consultant360, the year-round, award-winning platform relied upon by primary care providers and other specialists; Psych Congress, the largest independent mental health meeting in the U.S.; EMS World Expo, North America's largest EMT and paramedic event; and the Symposium on Advanced Wound Care (SAWC), the largest wound care meeting in the world. For more information, visit hmpglobal.com. Imedex, an HMP company, is an industry leader in the creation of independent, accredited medical education for healthcare professionals. With an emphasis in oncology, hematology, and gastroenterology, the company develops high-quality scientific programming that translates the latest research into clinically relevant information. The company operates in the United States, Europe, and Asia. For more information, visit imedex.com. Founded in 1932, the American College of Gastroenterology (ACG) is an organization with an international membership of more than 14,000 individuals from 85 countries. The College's vision is to be the pre-eminent professional organization that champions the evolving needs of clinicians in the delivery of high-quality, evidence-based, and compassionate healthcare to gastroenterology patients. The mission of the College is to advance world-class care for patients with gastrointestinal disorders through excellence, innovation, and advocacy in the areas of scientific investigation, education, prevention, and treatment. For more information, visit gi.org and follow ACG on Twitter @AmCollegeGastro.